Balzer + Bray, 9780062320742, 416pp. Eternal Sunshine of the Spotless Mind meets We Were Liars in this thought-provoking and brilliantly written debut that is part love story, part mystery, part high-stakes drama. What would you pay to cure your heartbreak? Banish your sadness? Transform your looks? The right spell can fix anything…. When Ari's boyfriend Win dies, she gets a spell to erase all memory of him. But spells come at a cost, and this one sets off a chain of events that reveal the hidden—and sometimes dangerous—connections between Ari, her friends, and the boyfriend she can no longer remember. 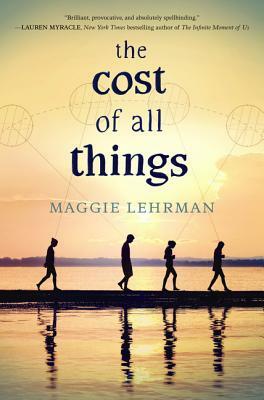 Maggie Lehrman is a writer and editor living in Brooklyn, New York. She grew up outside of Chicago and went on to get a degree in English at Harvard, where she once received a grant to purchase young adult books the library didn't have. During her decade of working as an editor of books for children, she also earned an MFA in Writing for Children and Young Adults from Vermont College of Fine Arts. She is the author of The Cost of All Things and The Last Best Story.